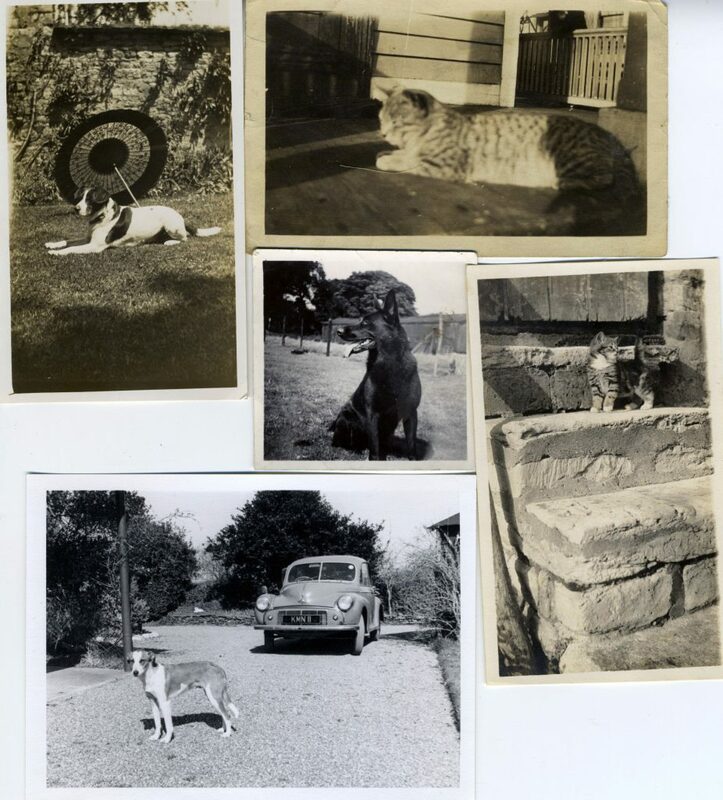 Pets have always been a favourite subject for amateur photographers and there are many interesting example to be found in old collections and albums. Often the proud owners are seen with their pets as the first photograph shows. Women and their pet cats are frequently found. In fact I don’t recall any of men or boys with pet cats in my collection. The same goes for dogs – from my entirely unrepresentative collection I have far more women with dogs than men with dogs. 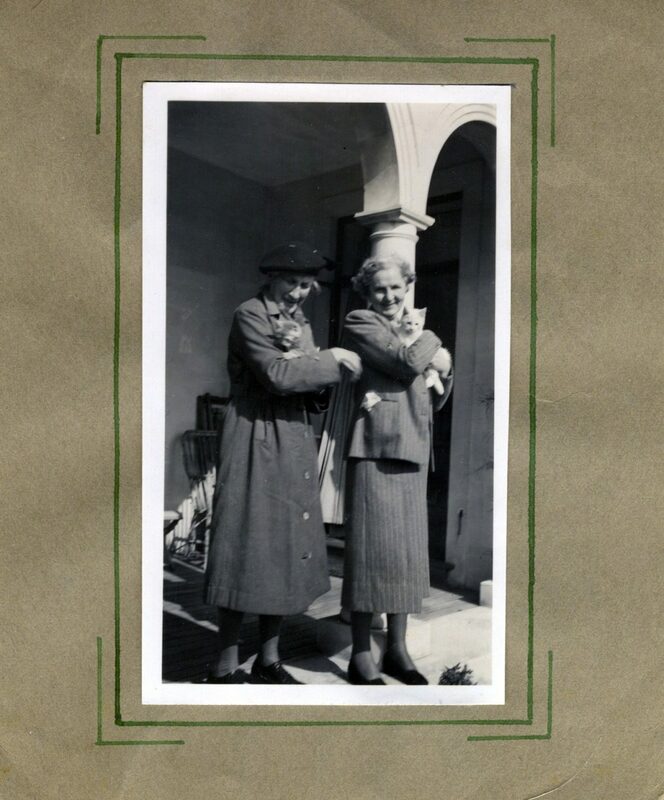 There are also many photographs of the pets by themselves as this set shows. It is particularly difficult for an amateur photographer to get a good shot of their pets. Even with modern cameras and a lot of patience it is a challenge to get a good likeness. There is the usual problem with these photographs of knowing who we are looking at and when the photograph was taken. This group of three all have information written on the reverse. 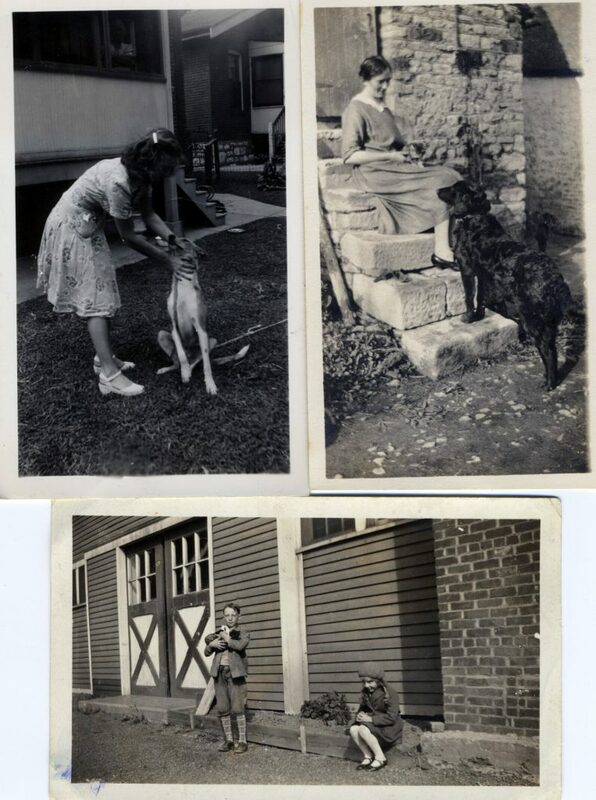 Top left is “Annie and Brownie, St Louis Ms Aug 1945.” Top right is Daisy, Teeny and Pedro Oct 21 1925.” You might have to look closely to see Teeny. 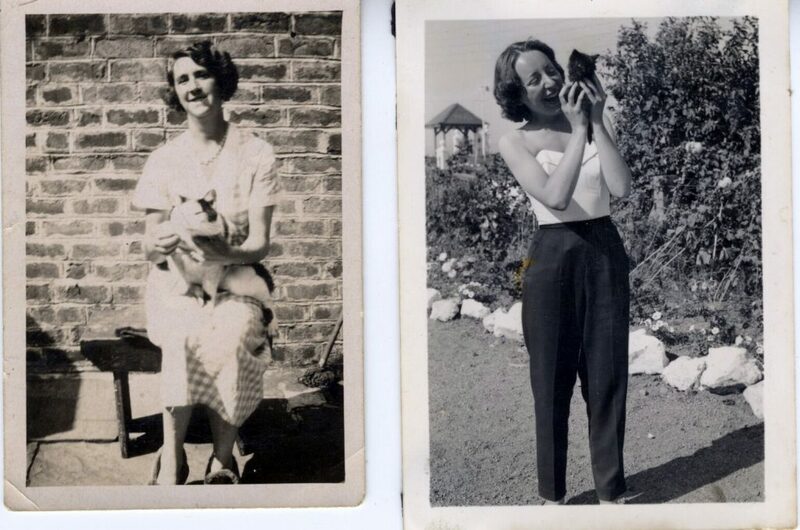 Notes on the bottom picture read “Beaty, Teddy and his cat, see all the garden we have” but no date is given. There are of course pet photographs to be found on Cabinet Cards and CDVs though these tend to be highly collectable and more expensive than the average. 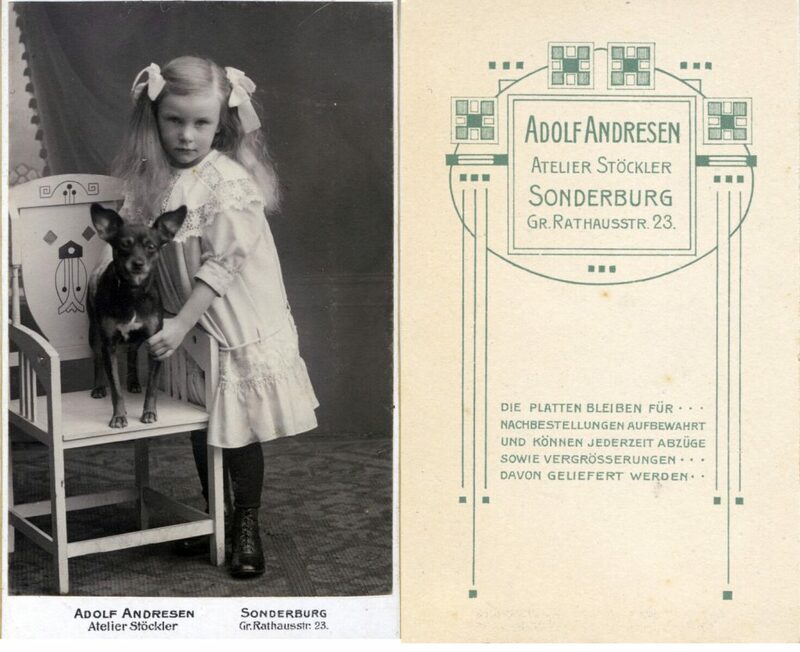 The CDV above is one of my favourites not only because it is a pet photograph but also because of its excellent condition and the fact that the dog is seated on a rare Art Nouveau chair (I suspect it’s Jugendstil but I can’t be certain). I paid £20 for this card and considered it to be a bargain. If you want to know more about animals in vintage photography then I can recommend Beauty and the Beast by Arnold Arluke and Robert Bogdan. The book sticks to RPPCs as illustrations and ranges far and wide over the subject of our relationship with animals.